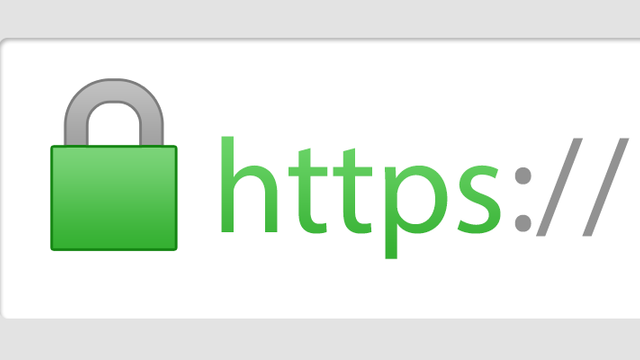 v4.10.4: Bigger and easier to spot Add button! Adding a comic would clear the collection status filter in the main screen. 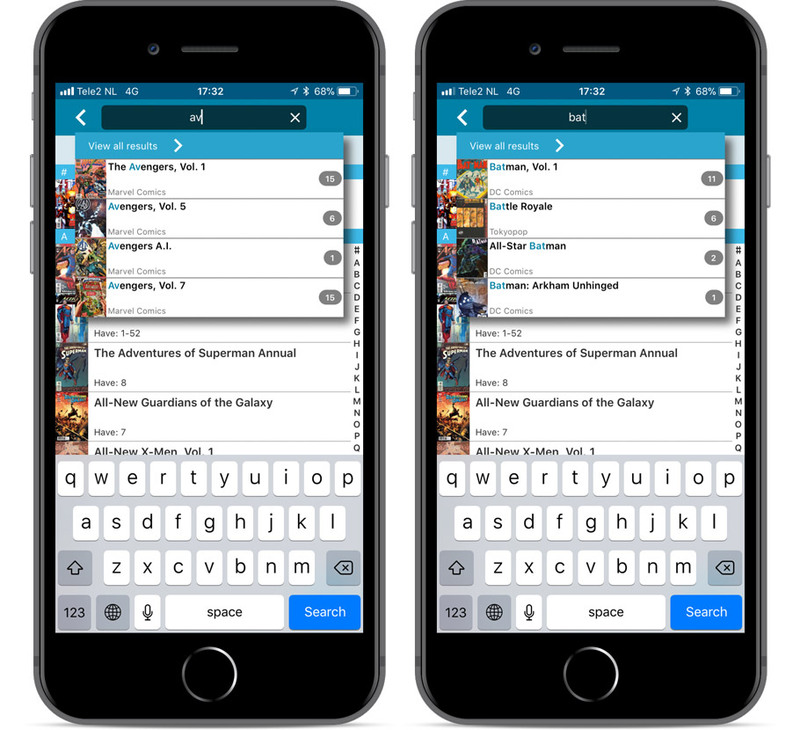 Now automatically searches the series you were looking at in your app. 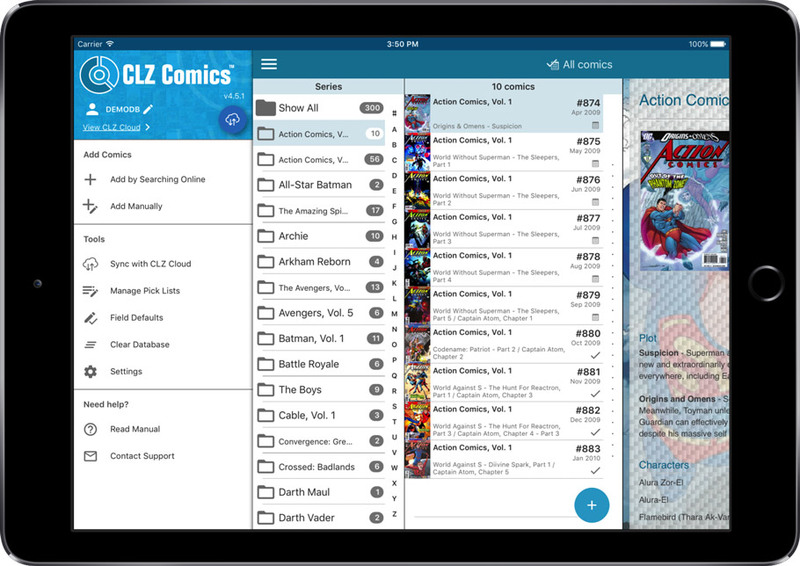 If you log in to your CLZ Account on a new or empty device, the app will now ask you if you wish to download your comics from CLZ Cloud. 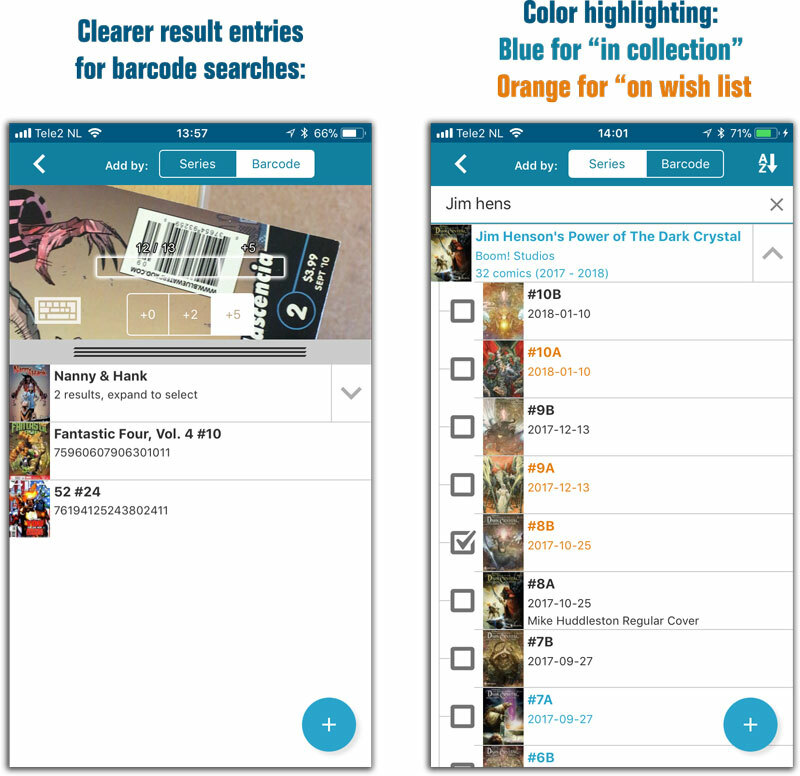 Some barcode searches could return empty issues upon adding them. Reading date was displayed twice in the ‘Clear’ templates. 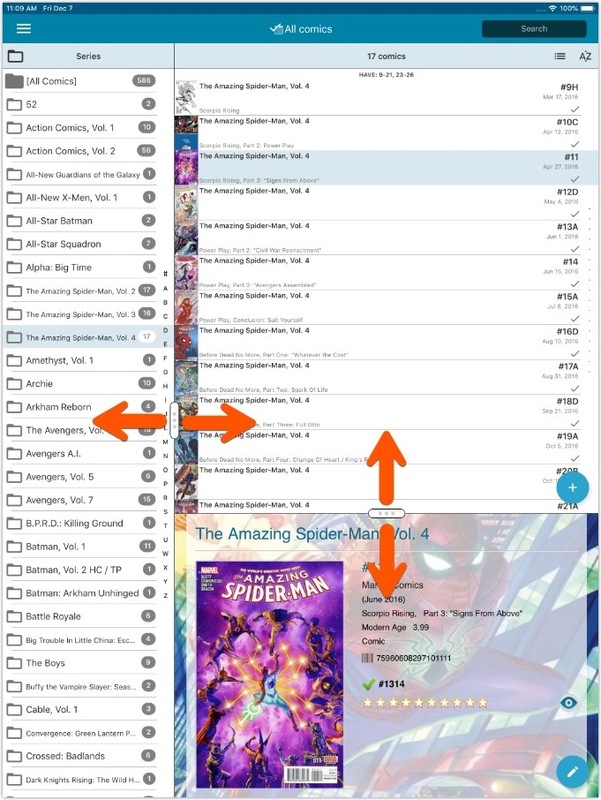 When a comic was removed, the list would scroll back to the top. iPad: WANT-HAVE header was not correctly updated when changing Series folder. New “Manage Pick Lists” screen (under new Tools menu). Edit the SortNames for comic Series. 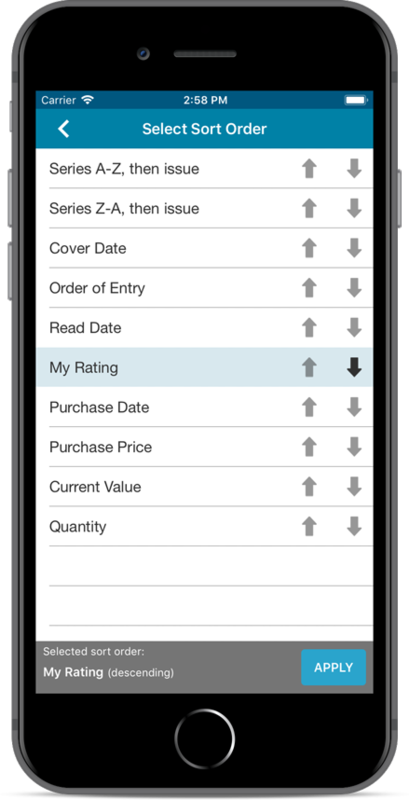 Tap the pencil icons to directly edit names of pick list entries. 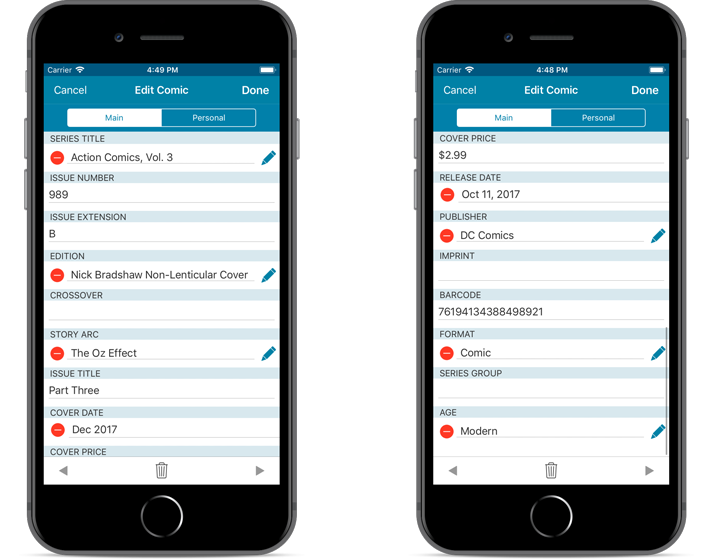 Tap the pencil icon for Artists, Authors and Series to directly edit Names *and* SortNames. 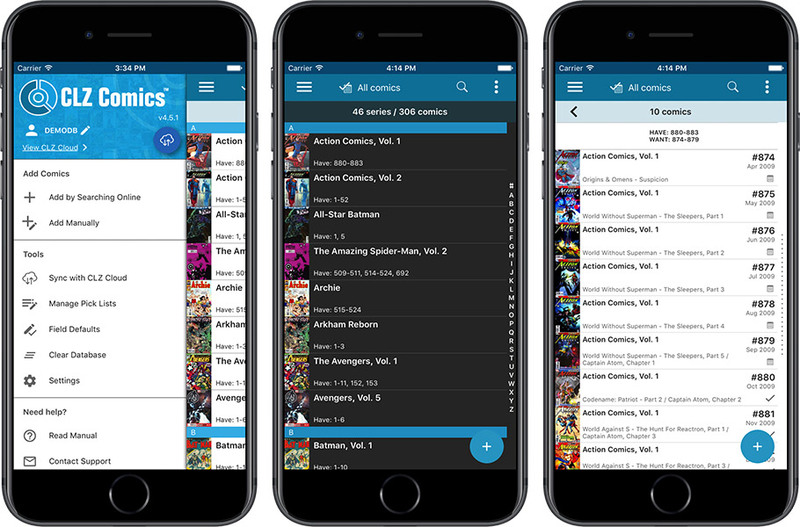 CLZ Comics 4.0 for iOS! 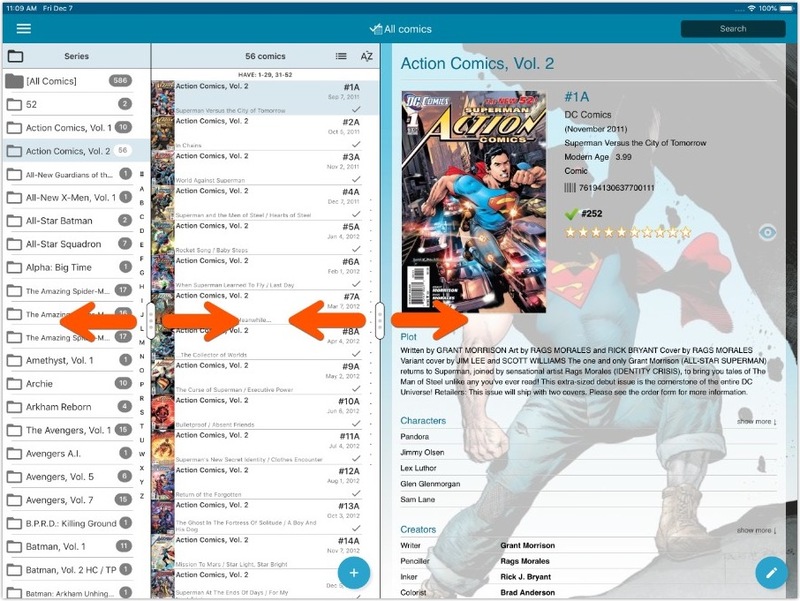 Starting with version 4.0, CLZ Comics is free to download and starts with a limit of 100 comics. Easily switch between Add methods (Title / Barcode / Manual). Larger Camera Scan screen on iPad.